Adeptus Mechanicus, Imperial Knights, Astra Militarum and Thousand Sons: Shadowsword, Valkyrie and Warhammer 40,000 posters in my room! 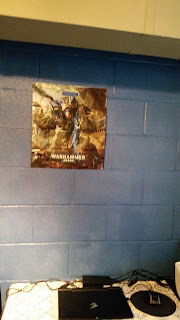 Shadowsword, Valkyrie and Warhammer 40,000 posters in my room! 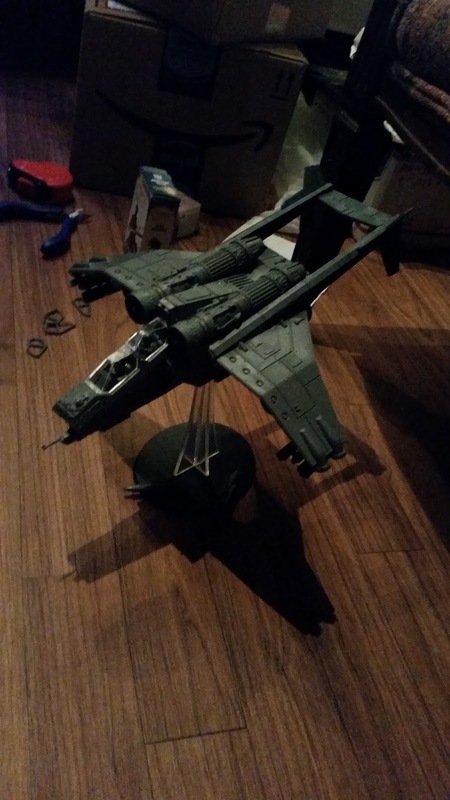 I mentioned that I built a Shadowsword on Monday, and I actually haven't uploaded a picture of it. I will upload a picture of it now! One hell of a Hellhammer. For now, this is the Hellhammer hull that I put on top of my Shadowsword, but I decided to just leave it out because the Shadowsword seems better for now. 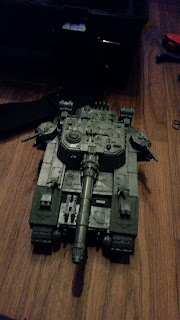 I'm happy with the stuff I have at the moment, and probably the only thing I will add is a second Leman Russ Executioner. 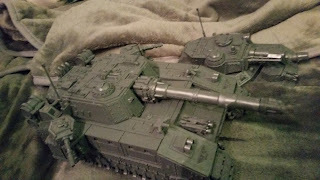 Otherwise, that's it for my Imperial Guard. I have yet to build my Kamikaze Troopers yet, but I'll do it over the week when I'm free. I have an essay to write and stuff to study so I won't be able to do much about my hobby until the next weekend. Or so I hope. 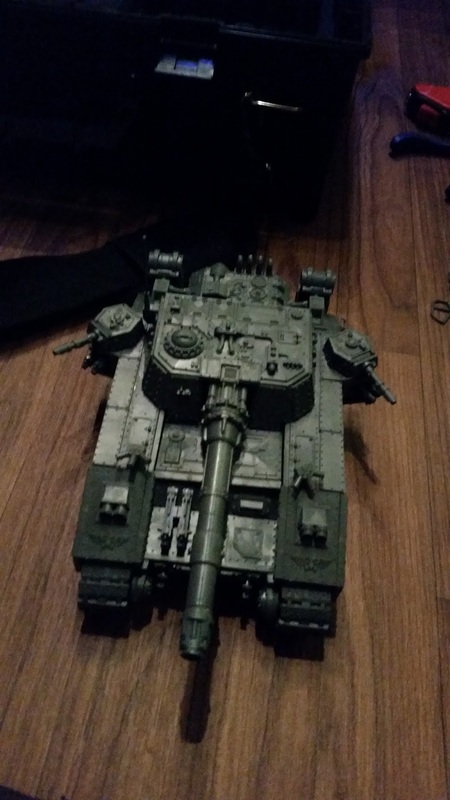 Let's just keep it as a Shadowsword, eh? 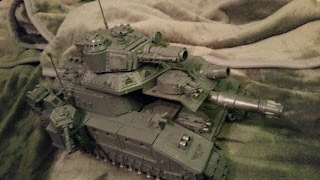 Speaking of which, I have built my Valkyrie assault carrier today. 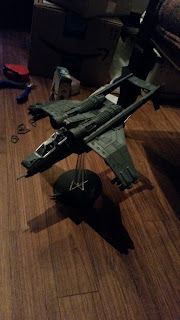 So now my troops have a gunship to ferry them about! YAY! The Kamikaze Troopers can grav chute from unseen Valkyrie gunships while the normal Draconian infantry will gav-chute from hovering Valkyrie assault carriers who then act as gunship support thanks to their Roving Gunship rule! I can't wait to use him in battle! And while we're on my personal hobby, I finally managed to get my hands on blue tack (man, they're so hard to find in the United States!). 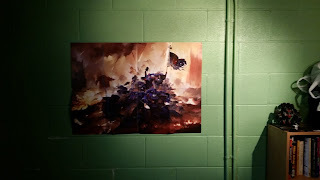 As such, I could personalize my room by posting my Imperial Knight and the 30th year anniversary Warhammer 40,000 poster! For the Emperor! 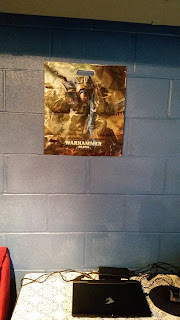 30 years of Warhammer 40,000! Of course, not forgetting my favorite Imperial Knight! My room looks so much better and individualistic now! YAY! For the Emperor!